iPhone 8 Production Woes Might Not End Due to "Production Difficulties"
Having been wrapped around with rumors for its potential delay caused by the Production Difficulties, iPhone 8 production woes catches fire again! The saga of iPhone 8 production woes is still flagging, rumored again for supply shortage. An investor note from a reliable source recently restated the potential delay of the iPhone 8. The news put the fire in the hay stag.The new rumors are that the Apple won’t be able to launch the device at its traditional ramp-up period of August to September. The launch could be dragged till November as predicted in earlier reports. The recent note though seems positive for Apple introducing the iPhone 8 in September only but doubt its supply. 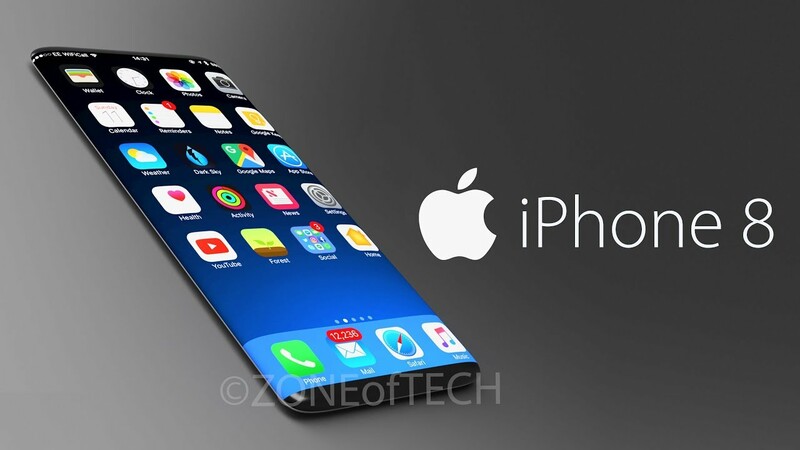 It expressed its concern for the iPhone 8 production woes that the device might not be available for a stretched period after its launch. Hence, Apple might end up launching it in small quantities. Security Analysts suggests a decrease of 25% in the total expected units from the supply side in the year 2017. Though the demand estimations of the device are still ambiguous but new features are suggesting a big increase. The iPhone 8 is rumored to have 3D sensors and a feature of Touch ID which is attractive customer’s attention. It will be too early to through a judgment on the demand shift as Apple won’t easily lose its customer base. Does the 3D sensor of the new device offer a new and creative user experience? The rumors for iPhone delay are definitely not new but the increased warnings for iPhone 8 delays from reliable sources ringing an alarm. Hence giving warning to investors as well as customers. As per the sources, Apple’s main hurdle is integrating its fingerprint sensor beneath the glass of the device. It is causing the major difficulties in production. If the situation continues, Apple might remove the feature completely or use the back side of the phone to put the touch ID. Also, there are rumors that it can also go for another biometric system like thumbprint or face recognition. It is also said that Apple is also struggling to integrate a 3D sensing secondary camera into the Phone. The process of display lamination is also giving them lemons. A combination of various new technological experiments is giving a tough time to the company. These includes an edge to edge OLED display, innovative sensors and glass body. All these are the major reasons for the iPhone 8 production woes.